GENEVA, Apr 11 2019 – Anti-government protesters invading Serbia’s state-owned television station, demanding that their voices be heard. Journalism bodies writing to the Albanian prime minister over plans to censor online media outlets. A Belgrade corruption-busting reporter forced to flee his house that had been torched; a Montenegrin investigative journalist shot in the leg outside her home. These are just some of the violations emerging from the western Balkans as a clampdown on media freedom – and civil liberties – undermines Serbia’s and Montenegro’s bids to join the European Union. It’s little wonder that Serbia tumbled 10 spots to rank 76th on the 2018 Reporters without Borders Press Freedom Index, which states bluntly: “Serbia has become a country where it is unsafe to be a journalist.” Its neighbours fare little better: Albania is in 75th place, Kosovo is ranked 78th and Montenegro is a dismal 103rd. 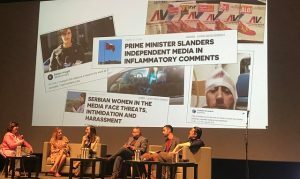 Smear campaigns against courageous journalists; impunity for those assaulting media players; collusion between politicians and brown-envelope reporters; high levels of concentration of media ownership in a few hands; threats of cripplingly expensive litigation; the chilling effect of self-censorship on reportage. 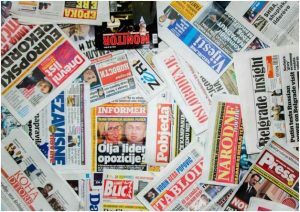 The list of media abuses in the Balkans goes on and on. 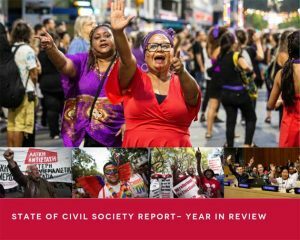 Belgrade, Serbia is playing host to International Civil Society Week, running thro Friday April 12, bringing together over 900 delegates to debate solutions to some of the world’s most pressing challenges. Some of the questions on the agenda will be: What more can we, as civil society, do to ease this stranglehold on free expression? How can we raise our voices to protect individual and media liberties? Such restrictions on the media are incompatible with participatory democracy, which depends on three fundamental human rights – freedom of peaceful assembly, freedom of association and freedom of expression – which are also protected under international law. Any government that claims to have free and fair elections, and claims to be a democracy, cannot deny its citizens access to information and the right to be heard. According to findings by the CIVICUS Monitor, an online platform that tracks threats to civil society in 196 countries, states are generally using two types of tactics to restrict civic freedoms, and the crack down on media freedoms is no exception. The first is legal: imposing or enforcing laws that restrict democratic freedoms and criminalise free speech. For example, this includes bringing trumped-up judicial charges against journalists or media houses, thereby diverting energy and resources from watchdog journalism. The second type comes in the form of extrajudicial means and are even more contemptible: including intimidating the media into submission through carefully coordinated smear campaigns and public vilification, and sometimes through physical intimidation and outright repression. While such states may make an elaborate show of using (or abusing) the laws of the land to rein in the media, such censorship is clearly a perverse parody of democracy – an expression of a growing trend in which the ‘rule by law’ replaces the rule of law. Sometimes these attacks on media are coming from “strongmen” leaders with the ambition of concentrating power and eliminating any checks and balances. In other instances, we see these kinds of restrictions imposed by governments that feel threatened and see media clampdowns as another way to hold onto power. A weakened state or leaders who came to power through dubious means or with a small majority are likely to mute the civic space to cling to power. It may therefore, not be surprising that it’s happening in the Balkans, given the area’s fraught political history. When popular dissent swells against unpopular policies and actions, a vulnerable state’s first target is the media, because of their potential role in unseating power. It is also something we see as a classic copy-and-paste tactic: questionable leaders see their regional neighbours getting away with it, with few if any repercussions, and follow suit. Even the online space – the ultimate democratic arena of the 21st century, where the gladiatorial thrust and parry of views is essential to robust debate – is not being spared in this battle to seize ideological control of the marketplace of ideas. Some countries have already shown that it’s entirely possible to shut down or control social media platforms, denying citizens their fundamental right to participate in debate and in policymaking. 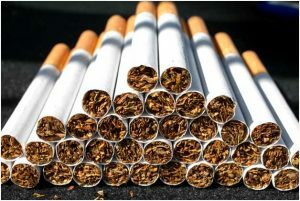 The reasons that States give for silencing media vary but often include similar statements such as journalists are writing “defamatory” articles or disseminating “fake news”. Often, they maintain, the reportage is “unpatriotic”, “goes against our culture or values” or “does not advance our nationalist agenda”. 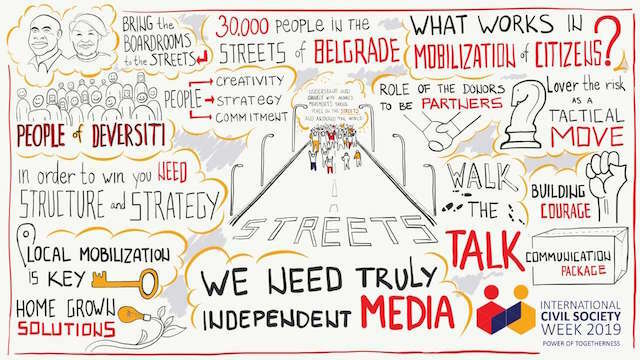 With the restrictions on media freedoms increasing in the Balkans, we should be highlighting the situation and sharing tried and tested strategies for pushing back and opening the space for a free and independent media. We should be concerned that the world so easily shifted its attention away from the region after the terrible conflict that claimed so many lives 20 years ago. Why did we not linger a while to monitor the aftermath? 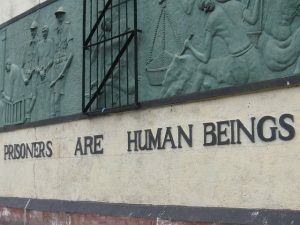 Do we turn a blind eye to human rights abuses, as is the case in China and elsewhere, as long as there is peace, development and economic prosperity?